Whether you are looking to get away from a monotonous week at work or are simply after the ultimate relaxation getaway within your own home, you cannot look past the highly coveted massage chairs of the modern era. Incorporating 6 different massaging techniques, including: Shiatsu, Swedish, Rolling, Clapping and Combo, The Osaki OS 4000T massage chair will assist those of you that want to appease your aching back and bones.. 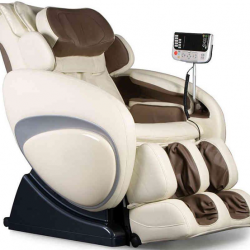 Here we hope to assist you in making an informed opinion on this massage chair by targeting key aspects of the chair which include, but are not limited to: The pros, cons, features, specs and much more, whilst providing detailed customer reviews of our own. If you are unable to continue reading this review right now, please bookmark this page and return to it at a later date. Meanwhile to get an update on the latest market price for this product, simply hit the button below. Are There Any Problems With The Osaki OS-4000T Model? At first glance or for those with little experience, many of the buttons on the main control system may appear to be obsolete. However in due time it will become obvious that there is another, mini remote control embedded within that functions wirelessly and is very simple to use. Although the wireless remote is in itself quite compact, rest assured the display illustrations are large enough to allow seamless transitions and access to any of the 6 massaging styles or 5 levels of speed/intensity that you will quickly acclimate to. This wireless remote also comes in rather handy when in the recline position so you don't have to flounder to reach the main controls whilst lying down. This massage chair houses a total of 46 airbags that provide relief not only for the arms but also the back, shoulders, neck and hips. That's a whopping difference of 8 airbags between The Osaki OS-4000T and its predecessor (The Osaki OS 4000). These airbags not only enhance the experience of the zero gravity program but also massage your entire body extensively by compression, the intensity of which can be adjusted with a single tap of a button. It's that simple! The Osaki OS-4000T is ergonomically charged to deliver effective health benefits whilst providing lasting refreshment for the user's body. According to the manufacturer, Osaki has designed the 4000T so that its S-Track architecture follows the natural sinusoidal curvature of the spine, and this apparently creates an amazing level of comfort. There are two individual heat pads positioned near the the lower back that work well to reduce nerve pain, whilst providing relaxation for the body. Be advised, however there are no other heat pads in the feet area. This may require some of you to buy separate heating pads for the added benefits of heat relaxation for the feet. Unlike many other chairs that only boast a 30 degree seat tilt, The Osaki OS-4000T touts a second zero gravity stance, which is put simply, a deeper recline. This concept has received a great amount of publicity in recent times and for good reason too. The purpose of the zero gravity mechanism is to situate the feet above the heart to ease the compression of the spinal cord. Essentially it serves to relax the neck, increase circulation of blood and blood oxygen levels in the body. The program aids in providing an intensely invigorating massage. Osaki's willingness to go that extra step further to add uniqueness to this unit and gain the upper edge over some other massage chairs is sure to be one of, if not the chair's main selling point. From looking at the product's feedback via the reviews on Amazon.com, most customers seem fairly happy with this product, with 55% of them supplying a stellar 5/5 stars review. Additionally, a further 27% of the customers have provided a 4/5 stars rating. Whilst the overall feedback for this model from Osaki is great, It's still important to mention that 18% of customers rated the chair a worrying 1/5 or 2/5 respectively, although very few of them have actually left any written reviews. Fret not however, most of these negative reviews are only in regards to the poor customer service provided by Osaki in terms of delivery, or the mediocre installation instructions. The latter problem is due in large part to the poor English translations provided in the manuals as a consequence of the company being Japanese, which is still, in no way a reason for exoneration from their incompetency in this matter. And of course, there are always the customers that have been unfortunate enough to receive a faulty chair. Overall the positive ratings come to a total of 82%, which should give you a rough indication of how well this chair does its job. In accordance with these ratings, customers are delighted to report that this chair does everything and then some to offer you the ultimate relaxation process in an all-in-one package at reasonably low price. The general consensus seems to be in regards to its varying features that all coalesce to deliver a soothing, utopian yet human experience with its impressive design and technology, as detailed above. According to the reviews this chair has been able to provide endless and consistent relief for the ‘ol bones' everyday to keep the people happy and refreshed. For what it's worth, there isn't much to say in terms of drawbacks for The Osaki OS 4000T. Most of the reviews seem to vary from person to person. Some believe the rollers could be a bit larger, whereas others think the shoulders pads are difficult to setup and that the arraignments could use improvement. However, this inconsistency may only be present due to the small sample space but in general the problems stem from only certain ‘faulty' chairs or the Osaki company customer service itself. Strangely enough, although listed as a con the 5'2″ and 6'0″ size constraint hasn't affected the customers on Amazon as much, but we suppose its just an indication of the target customer demographic Osaki has so obviously, and thoroughly thought through. We have to hand it to them, Osaki has outdone themselves in this aspect. For those of you that are outside of this size range it might be worthwhile considering other options. For example the Kahuna SM 7300, or the very luxurious Inada Dreamwave. As already mentioned above, there is little to say in terms of imperfections concerning this product. Although, it would be remiss of us to claim that this chair is perfect because quite frankly, its not. One of the main issues of the 4000T is the consistent release of a low murmur upon beginning the massage program, which may be due to the motors or compressors. Although it isn't very significant, this sound can be distracting to what should otherwise be a pleasant, relaxing experience. Furthermore, the absence of the customary 3-D massage rollers, presumably as a result of the lower price tag, may warrant indecision in those of you that prefer a deeper, more intense massage than the medium intensity level offered by Osaki's OS 4000T. From what we have gathered, it also seems that the presence of ‘faulty' chairs is an issue, some of which have issues with functionality including inoperable rollers or airbags. With over 300 million active users as of 2017, net sales totalling USD136 billion as of 2016 and consuming 80% of its customer base every month, Amazon.com is undoubtedly THE best eCommerce website of the present and likely the distant future. Amazon caters for any and all well-heeled clientele looking to purchase items that are delivered safely, packaged well and require ongoing customer satisfaction. It's almost guaranteed that your security and service will not be compromised when dealing with such a prominent market, the likes of which Amazon provides. Feel free to click the link below to visit Amazon and buy now. They also periodically supply special offers and product promotions, which allow for potential buyers to receive reimbursement through 12 month financing and much more. So watch out for those! Unfortunately there is no video footage right now for this chair, but we'll be sure to update this if anything becomes available. For those of you that may have further doubts about this product, we have compiled a list of common questions that have been circulating among the customer base. Have a look below and see if we can't answer your questions! What kind of door will this chair fit through? Before assembly this chair will come in two boxes with the armrests detached so it will easily fit through a standard 30″ door. 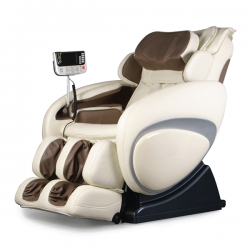 Currently, Luraco's Irobotics i7 is the only massage chair built in the USA. 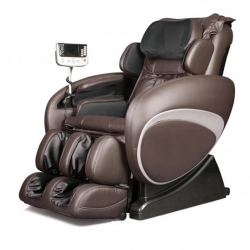 Along with the exceptions of Osaki's other products: The Osaki JP Premium 4.0, The Osaki JP Premium 4S, The Osaki OS-4D Pro JP, which are built in Japan, every other massage chair including The Osaki OS 4000T is engineered and convened in China. What is the warranty on this massage chair? Can it be extended? 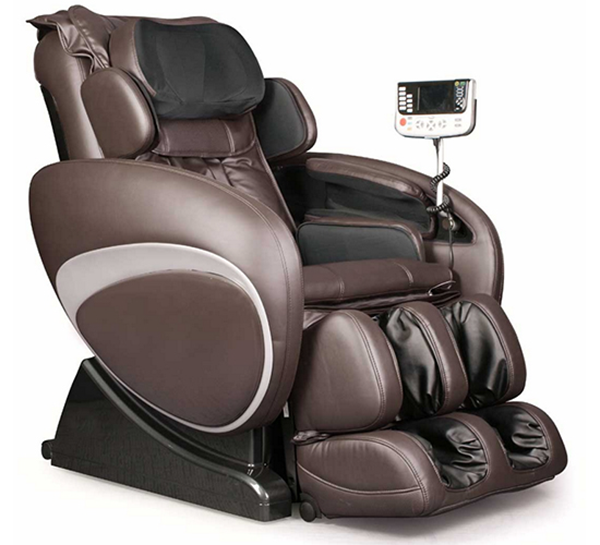 Osaki provides a 3 year stock warranty on all models of this chair. If desired, customers may also receive an extended warranty of two years on the parts and a four year extension on the labor costs for a fee of $240. The stock standard warranty covers both the cost of parts and labor. Does the purchase include installation on delivery? The standard delivery method with free postage entails delivery of two unassembled boxes on the curb, without installation. Although, it is touted by consumers that the chair itself is easy to fix, the use of two adults is recommended. Amazon also provides a ‘white glove delivery option' which assumes that the chair is fitted upon delivery. This alternative requires a fee of $179. How long is the pre-programmed massage timing? A single non-stop massage runs for 30 minutes max. This can be used as much as deemed necessary, although there is an option for manual programming. What type of input does the main control require? Both the handheld controller and the main controls facilitate button input, to which they respond with digital display. Unfortunately, the choice of touch input is not available with this massage chair, quite a shame really in this age. What are my colour choices? Osaki has intuitively produced four different colour variations of this chair, instead of the typically available black and brown. This chair is sold in black, brown, charcoal and cream. You may have already realized this but overall, The Osaki OS 4000T fails to disappoint. Its no surprise that adding a revamped leather finish and mechanical foot rollers to an already very decent chair in The Osaki OS 4000 has kept customers on the edge of their seats (pardon the pun). You will be pleasantly surprised to learn that all this comes with only an extra price difference of a mere $200. 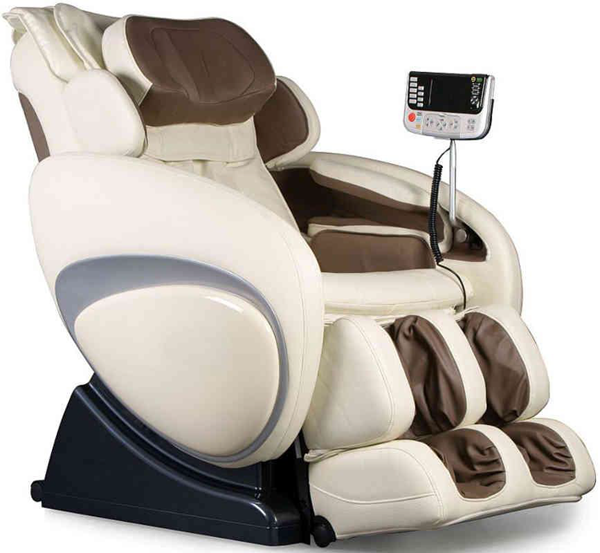 Coming with a vast array of features that are only present in most high-end chairs and with very minor complications, this massage chair can appropriately be labelled a “Jack of all trades, master of none”. But what else can you expect for a solid everyday-use massage chair clocking in at around the $2500 price tag (at least, at the time of writing that is). For those of you looking to get value for money and want future-proofing, look no further, you have just cashed in; BIG TIME! In writing this, if we have somehow managed to convince you that The Osaki OS 4000T is your calling, don't hesitate to click on the link below to see the best price on Amazon right now!